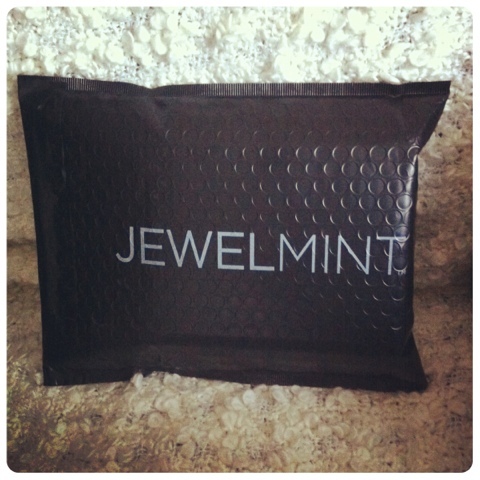 I LOVE JewelMint's packaging! This may not be important to other people, but for some reason the way that something is packaged means A LOT to me. Of course the product itself is of upmost importance, but I think it's nice when the packaging is also up to snuff. Putting a bow on it (so to speak) just gives it that extra touch of fabulousness (is this a word?). How cute is this box? Srsly?? 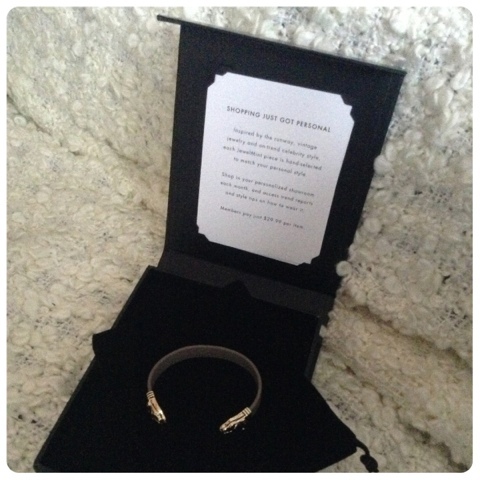 The cuff came in a soft (faux) velvety bag, and under a black sponge in a durable box. Your jewels are guaranteed to arrive in one safe piece. And here she is. Lady Lioness. 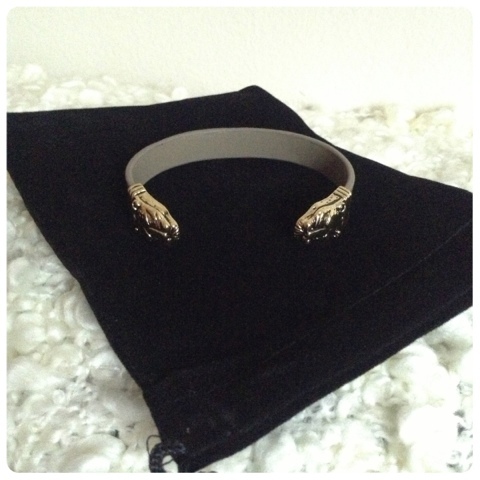 Originally, I thought that this cuff was going to be a darker brown colour. 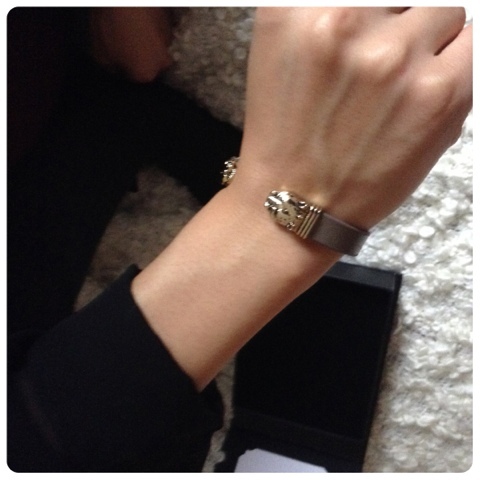 I think at the time I ordered it, the photos on the website made the cuff look dark brown. When I read the reviews a lot of people were saying that their bracelets were a LOT lighter in colour; the bracelet is more of a taupe-ish grey colour. Since then, JewelMint has updated the photos of this bracelet to now reflect it's true colour. I love this bracelet. And I am SO glad that it is this light greyish colour rather than a dark brown. This colour just makes this bracelet easier to wear on an everyday basis -- which I intend to because it's just so cute! 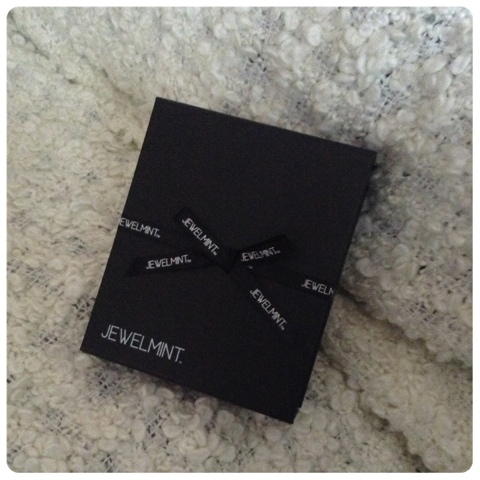 Have any of you tried JewelMint? What are your thoughts? I still don't think I'd order anything for the full price. Here goes to skipping the month until another great discount comes up! Hello lovely! 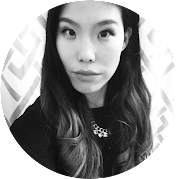 Thanks for stopping by =). I def prefer the taupe colour too <3. That's such a lovely bracelet. Really pretty. This is a gorgeous cuff, I'd wear it in a second! I don't do a lot of accessorizing but I surely do wrist anything :) Enjoy this great piece!